The legendary Grimey's record store - now in East Nashville, Tennessee continues to build on its well-established reputation at their new location - 1060 East Trinity Lane. Grimey's has two floors filled with new and used books, CDs, vinyl and more spanning various genres. With a little digging you might even find some 45s or cassettes along with music from local artists. 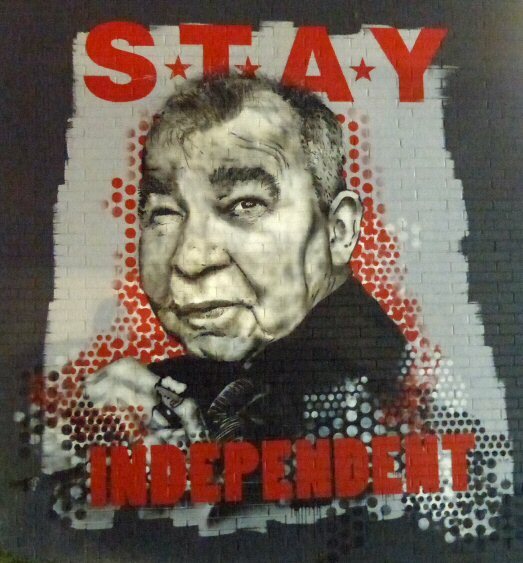 In fact a large painting on the outside of the shop is a nod to the notable Nashvillian John Prine. Will Hoge sings about our national nightmares on "My American Dream". Grimey's now also has a web store for folks who live further away. For those close by you should sign-up for their weekly news which announces in house deals, giveaways, reviews, shows and more. Grimey's has been known for hosting live performances for many years. The new spot has a real stage with state of the art lighting and sound. Fans of all ages still stand among the aisles with many flipping through the albums before the artist takes the stage. 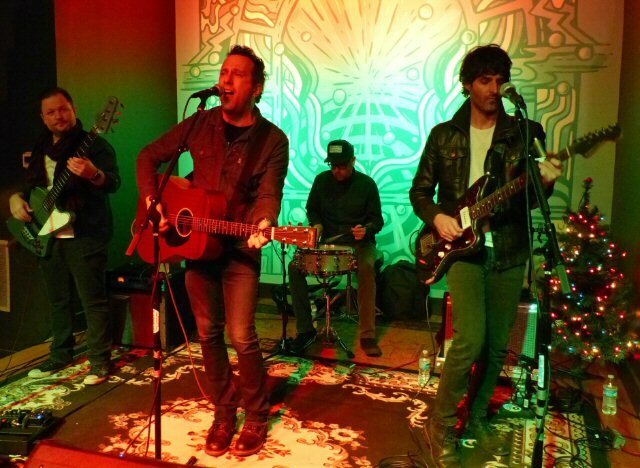 On Tuesday November 20, 2018 we had the pleasure of hearing and seeing Will Hoge who also happens to be a native to the region. 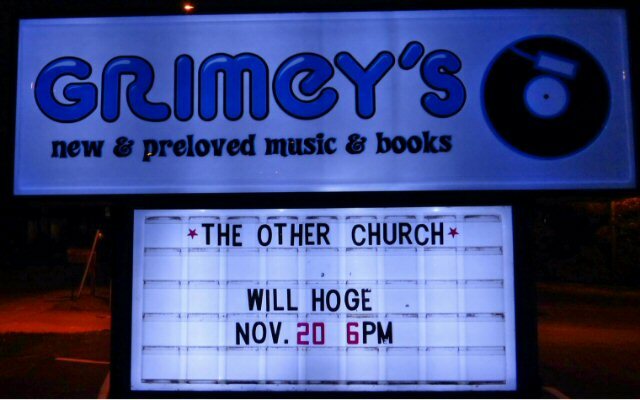 Will Hoge and his four piece deliver the goods at Grimey's. "Those things kept me up at night - and this record was less expensive than therapy," he says, laughing. "Silence couldn't be a part of my deal anymore." Hoge dealt with his concerns through music. The result is the angriest yet most heartfelt tunes he has released to date. "My kids and their future, that's the biggest thing for me. My boys are 11 and 7, they're happy and healthy kids, and I feel lucky for that every day," says Hoge, whose wife is a teacher at the same school that their sons attend in Nashville, Tennessee. "Every morning at 7 o'clock, everything I care about in the world goes to one building. It takes one knucklehead with a gun going into that one building to ruin all that for me." 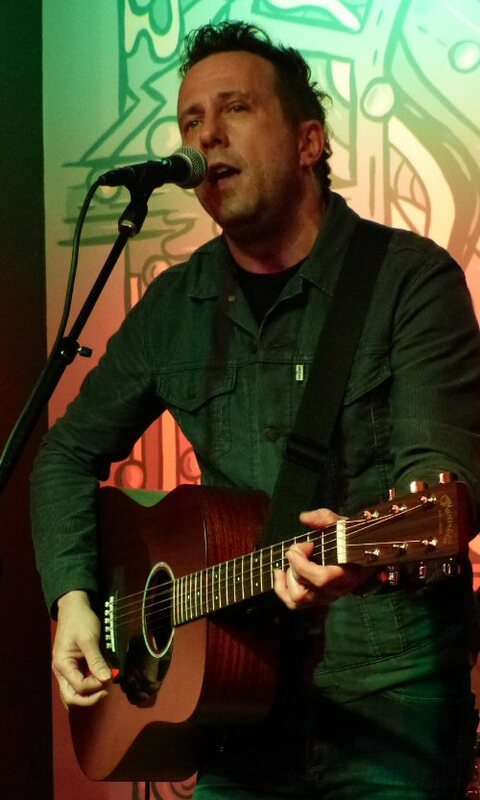 The first song that Hoge completed was his reaction to another school shooting and the inept response of politicians: "Thoughts & Prayers" (released as a single and named as one of the Top 25 Songs of 2017 by Rolling Stone Country) is an acoustic ballad in which he asks, "Why don't you do your job up there? Keep your thoughts and prayers." The truthful track was one of a number of songs from My American Dream presented at Grimey's on Tuesday. Grimey's - now in East Nashville - is a legendary in-store venue. "Great to be back on home turf," commented Hoge who with and his talented team have been on the road and it showed in a set that was engaging, energized and tight. Other highlights of their caustic, concise show was "Oh Mr. Barnum", "Still A Southern Man" and "Nikki's A Republican Now" - all songs from the new political and powerful record. After the concert Will was available to meet fans and sign stuff. Grimey's new location has retained all the good elements of the previous shop with some enhancements. Grimey's remains a musical mecca that has been able to change with the times while retaining the magic of an old school record store. In the meantime, Will Hoge is trying to change the world for the better through his provocative prose. John Prine adorns the outside wall of the all-new Grimey's.